Thanks, man! The gear and patches! what do you all think of the quality of the peace fuckers? just asking because my toys have a couple qc issues. 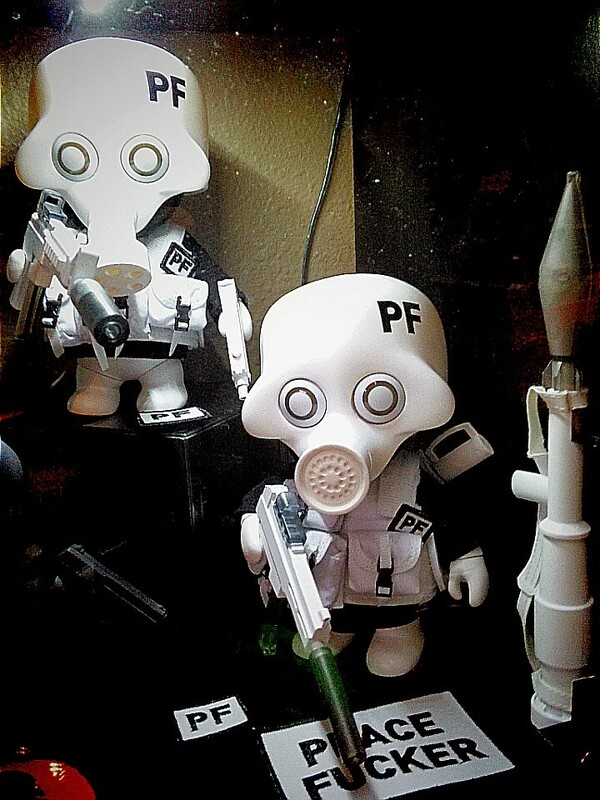 Finally got around to putting these guys up..love em, but I did have a few little QC issues..my nozzle is hella crooked when you look at it straight on and with a big gap where the nozzle meets the mask and my germ has some excess vinyl around the nose / nozzle area as well ..but Im still super stoked about them..and I hope it will be the beginning of regular squadt drops again..
And Patrick mine came with little Velcro sticky dots I used on the patches..I assumed that was what they were for..
BigNasty wrote: And Patrick mine came with little Velcro sticky dots I used on the patches..I assumed that was what they were for..
biscocrack420 wrote: what do you all think of the quality of the peace fuckers? just asking because my toys have a couple qc issues. the nozzel is considerably off center. one leg seems to be 'fixed' in place and I'm afraid to apply too much force to straighten it as the body feels like it's flexing. I received my 20" Gassed at the same time and although the quality seems great on him, I am worried about getting the head off for fear of snapping the neck. 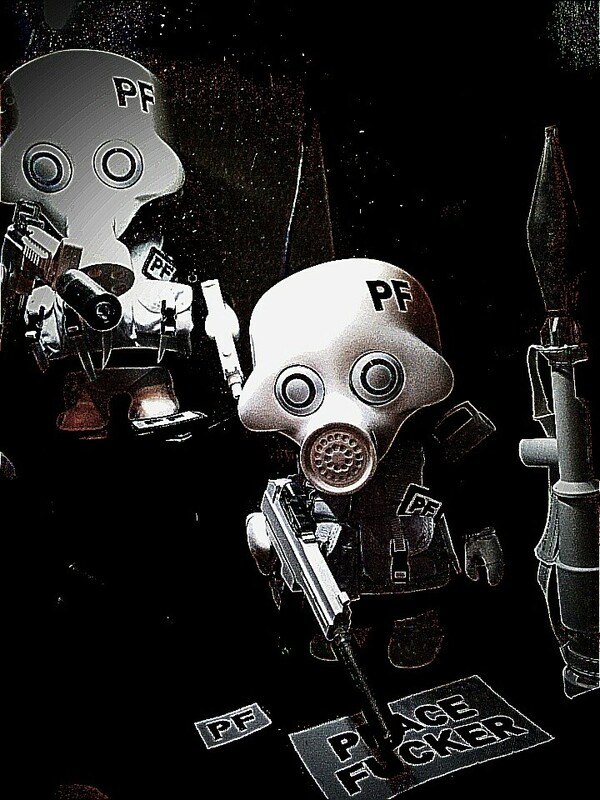 Is it confirmed that there are quality issues with PF figs? Is the Nozzle of center in a very noticeable way? Can that be straightened with a little heat? If I remember correctly the nozzel comes off? You could straighten it out that way but idk if these new ones do that? As always, if you have a QC issue, email me at ferg@playge.net and i will get you fixed up. You should use a blow dryer when taking the head off of the 20 inch, it helps me a lot. Just kind of aim it at the neck for 45 seconds or so and it will loosen up the vinyl a lot!